Hello friends! Happy Satur-yay! We’re in the midst of a celebration trifecta here and we’re loving it. Firstly, David and I are celebrating 11 years to the day since we met, I love me a good meet-a-versary. Secondly, it’s David’s first stroke-a-versary. I’m a bit of weirdo and embrace these dates on the calendar because they’re a great reminder of everything we have to be grateful for. 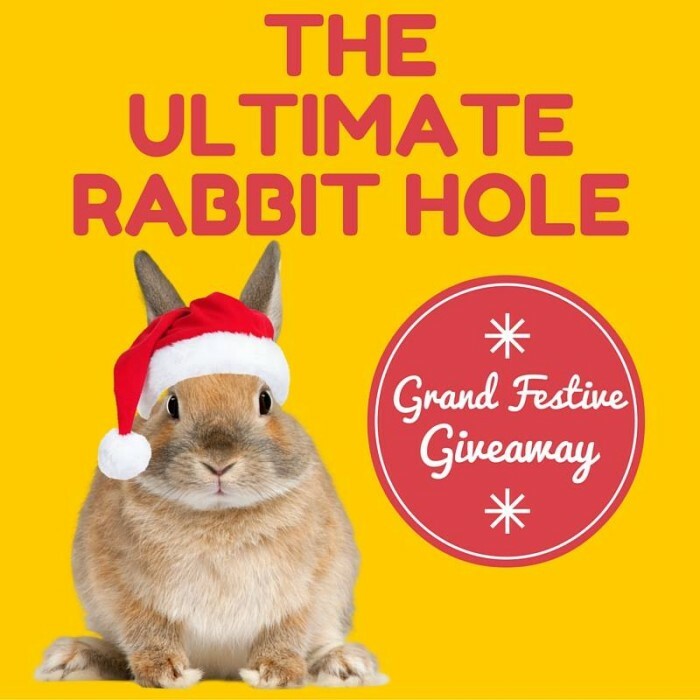 And last but not leastly, it’s time for The Ultimate Rabbit Hole Grand Festive Giveaway – yes, that’s a thing – and a very exciting thing at that! Read on for details. As Billy Ocean once crooned “when the going gets tough, the tough get going” (I think the eighties were the greaties!) and sticking with that theme, you can’t go wrong with these 6 Ways to Be More Resilient During Tough Times. I’m going to have to channel all my inner resilience in the coming week because it’s test time. The blood tests and ultrasound are like water off a duck’s back but waiting for the results always makes me twitchy. I hate to wait! And because cancer diagnoses are kind of on my mind right now, these 12 Things Never To Say To Someone Who Has Cancer are spot on. Whatever my test results say, I’m a big believer that the Key to Living a Happier Life is all about perspective. This proverb sums it up perfectly but comes with a high goosebump alert. Just sayin’! And because it’s not a real rabbit hole post without a nod to a national food day, guess what?! It’s National Stuffing Day! I’m sure this has something to do with American Thanksgiving next Thursday – so if you’re celebrating, have a good one – but I’m happy to eat stuffing anytime of year. I love stuffing and could happily leave the meat and gorge on the stuffing instead. I have commitment issues and couldn’t possibly choose just one recipe, so here are 25 Delicious Stuffing Recipes for Thanksgiving (or any time of year, come to that.) Let’s get stuffed! I know this rabbit hole has been the “self help edition” full of channelling happy, practising gratitude and being resilient but I can’t help but feel that we (that’s the royal “we” and the real “we”) need more of that right now. Plus kindness, and lots of it! 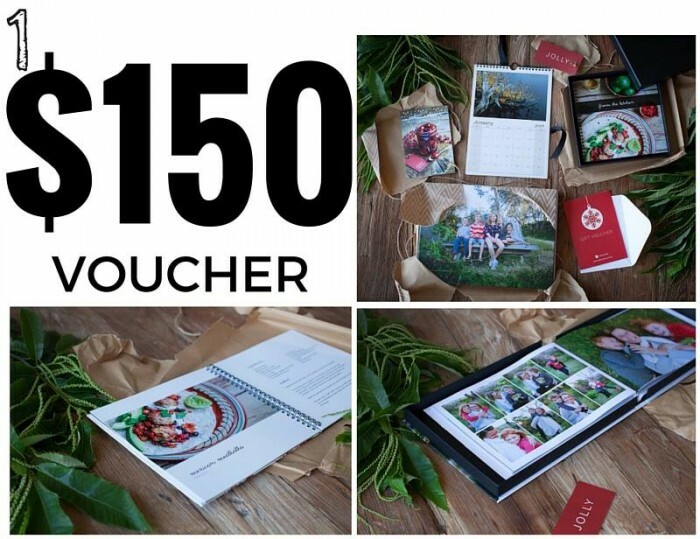 Momento produces some of the best quality photo books and custom stationery around, and are proud to be 100% Australian, home grown and handcrafted in downtown Sydney. Their software and service is designed to make it easy for anyone to layout and print their photo memories in a hardcover photobook, calendar, diary, notebook or card, and they promise to produce it in award-wining style. Some conditions do apply. Luna & Luxe Home brings you affordable luxury. Their hand poured candles are made from sustainable soy bean wax, essential oils & natural fragrances. The new Marble Candle that Luna & Luxe has given us to give away is so special and new it hasn’t even been photographed yet so the lid may differ from the one shown. Note: this has been edited to marble candle from copper and marble candle. Sorry, I had the wrong one. Still suitably awesome! These two ultra-papped bunnies have been made famous through The Ultimate Rabbit Hole. Who wouldn’t want a pair of exclusive Oreo & Bubbles crew socks direct from the U.S? Summer Simple Salad Series is all about sharing Kim’s (The Land of Zonkt) love of flavour & food through the humble & sometimes forgotten, salad. It’s proof that salads don’t have to be boring. Sharing 20 of her flavour busting recipes, sure to make your tastebuds smile. Quick, easy & full of flavour! The Cult List is a label designed and curated by Tessa of Down That Little Lane, Kate of Uberkate and Sonia of Life, Love and Hiccups. The home of #partypocketpants the fashion house has recently added home wares to the unique mix. A collaboration between friends, inspired by what is missing in their lives. With a fresh fragrance a blend of Lemon Myrtle, Tangerine, Rosemary, Thyme and Sweet Orange. This Voyager Hand & Body Wash gently cleanses without drying the skin. Gillian and Carolyn, the friends behind The Champagne Cartel have launched their next venture, The Makeup Cartel. Need some help to feel glam and gorgeous? Treat yourself to a makeup coaching session. Learn how to apply your makeup and build confidence in a relaxed and fun workshop. Expert makeup tips with a side of bubbles, the perfect combo! 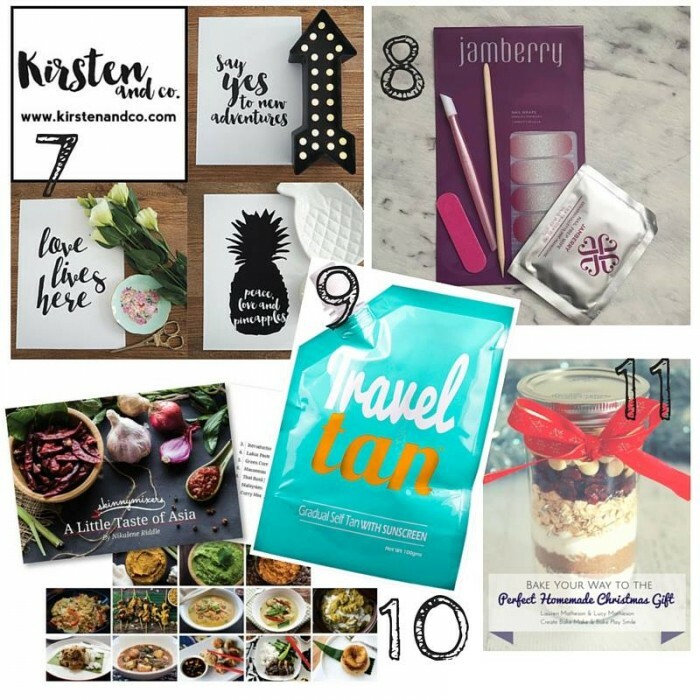 Kirsten brings a fun mix of family life, recipes, fashion, beauty, home decorating, reality show recaps and pretty much anything else that life has to offer (except sport), all delivered in an refreshingly honest, entertaining and relatable style. Kirsten is also a graphic designer and her prints are available through her shop. One lucky winner will receive an unframed A4 print of your choice, printed on 250GSM high quality card stock. If you haven’t heard about Jamberry products, you must be living under a rock. Jamberry are the in thing for nails, just check out #jamberry on Instagram. Here is your introduction thanks to yours truly! Win a Jamberry mini mani kit comprising a half sheet of wraps (may differ from wraps shown) nail prep wipe, nail file, cuticle pusher and orange stick. Travel Tan is a revolutionary gradual tanning moisturiser with added sunscreen to nourish and protect your body from top to toe. It’s a new must have beauty item containing everything your skin needs for summer, all in a handy travel pouch ready for your holiday! Skinnymixers is dedicated to sharing healthy thermal cooking recipes and discussing diet and lifestyle choices. With over 46,000 members it is one of the largest and most active healthy recipe and lifestyle groups on Facebook. A Little Taste of Asia is a collection of 13 recipes highlighting the depth and complexity of authentic Asian cuisine, with the ease of thermal cooking. This creative due have their festive on with a collection of 16 classic Christmas favourites – the perfect sweet gift for family and friends (or to enjoy yourself). With everything from sauces to condiments, to cookies and biscuits, slices and bars, and plenty of classic favourites, there really is something to suit everyone! That’s a prize pack to be proud of! All you have to do to be in with a chance to win one of these fantabulous prizes is to simply leave a comment and answer the following question, what is your favourite way to spend a weekend and why? Before you get all excited and get your comment on, be sure to check out the Terms and Conditions! 2. There will be 13 winners in total with one prize for each winner. Prizes will be awarded in order of top skilled entries as judged by the participating blog owners. 3. To be eligible you must leave a comment. Only one entry per person. Responses will be collated across all three blogs (www.calmtoconniption.com, www.theannoyedthyroid.com & www.my2morrows.com). 5. The giveaway opens Saturday 21 November 2015 and closes midnight Monday 30 November 2015. 6. The winners will be announced on the blogs Calm to Conniption, My2Morrows and The Annoyed Thyroid and be notified via email. 7. Prizes are not redeemable for cash and are non-transferable. Update! 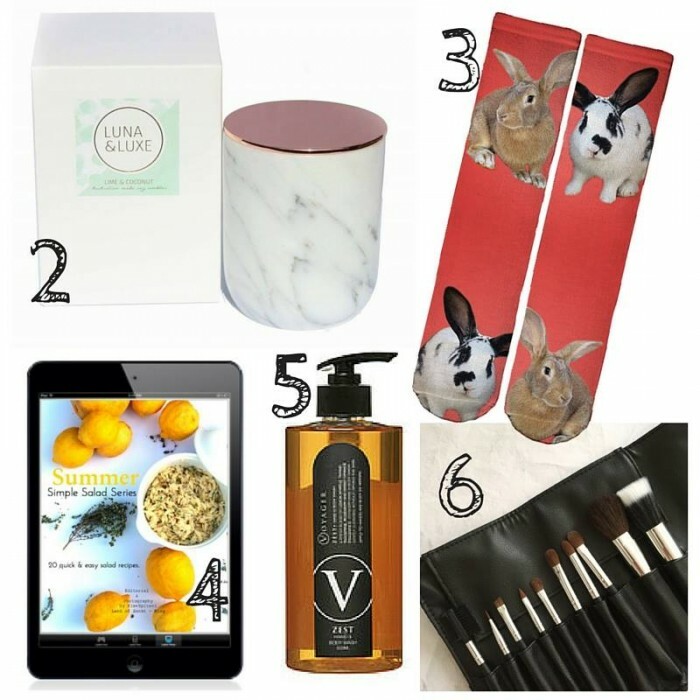 Here are the lucky winners – why not pop on over and check out their blogs too! Every Saturday morning, we will open up the rabbit hole link up for bloggers to add their link list posts or even just their favourite post (if you are not of the link list kind) for the week. Do try and pop along to say howdee to some of the other lovely linkers. Link up here, over at Calm to Conniption or My2Morrows. It doesn’t matter where you add your link because it will appear on all three blogs, as if by magic! The link up will stay open until midnight the following Monday.